It’s time to graduate from the classical university in Rotterdam “Codarts”! 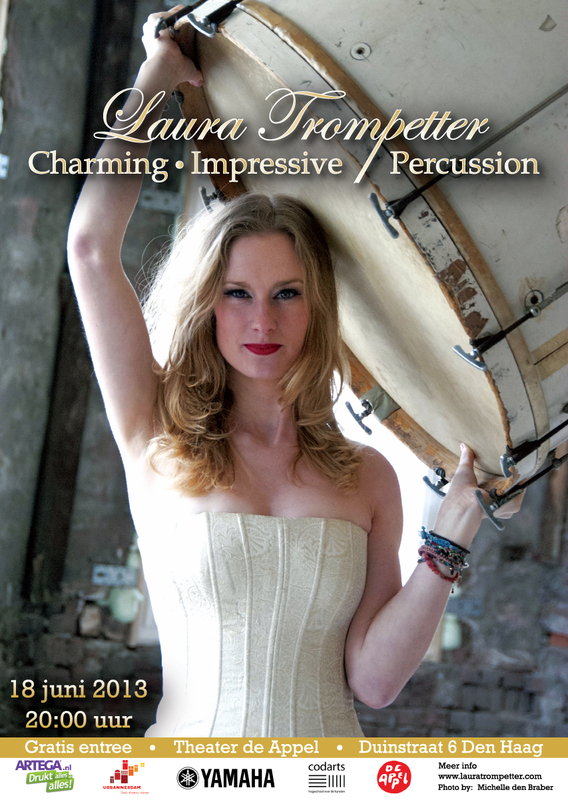 On the 18th of June 2013 at 20:00, Laura Trompetter will play her final exam in the theater “De Appel” in The Hague. The exam is titled “Charming, Impressive, Percussion and will be a compilation of 5 different pieces that will show the audience that Laura is worth the title of “Bachelor of Music”. The concert is free and everyone who is interested in her final exam is more than welcome. Theater “De Appel” is located in Scheveningen (The Haque) on the Duinstraat 6. It’s a beautiful urban theater that will suits her well. If you are interested in Laura Trompetter’s final exam, please join us the 18th of June 2013 at 20:00 in theater De Appel!